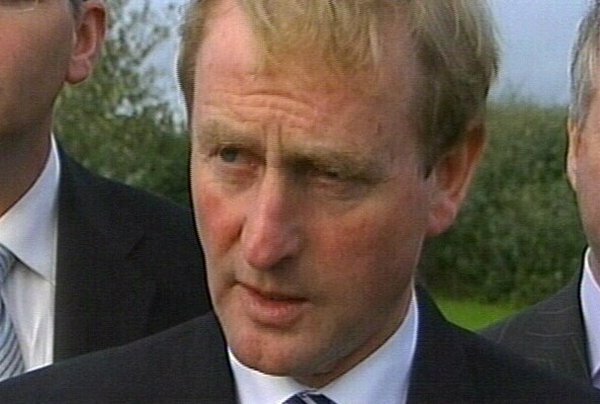 Speaking at his party's Ard-Fheis, the Fine Gael leader Enda Kenny has offered voters a 'Contract for a Better Ireland' and promised he would not seek re-election as Taoiseach if he failed to deliver it. His contract with the people would give better health services, more resources for tackling crime, better childcare, fairer taxes. He said people still had to wait for hospital beds, wait for school places, wait for more gardaí on the streets and all because of current government policies. Mr Kenny urged voters to use the polling booths to sign the contract with his party. The party has promised to reform stamp duty if it gets into government. Fine Gael pledged that first time buyers would not have to pay any stamp duty on houses costing up to €450,000 and would only be charged duty on the excess over that price. Health and crime dominated the opening of the Ard-Fheis, with the party promising to introduce a charter of rights for the victims of crime, and deliver more beds in cleaner hospitals. Justice spokesperson Jim O'Keeffe claimed that Michael McDowell was adopting Fine Gael policies - such as the electronic tagging of people released on bail - but said it was 'too little too late'. He proposed a Victims' Charter, promising the victims of crime information on the progress of their case; representation in the sentencing process; compensation; and restoration by the criminal. Delegates supported proposals to ensure home owners had the right to defend themselves and their property, without the danger of being sued for personal injury by an intruder. Meath West TD Damien English promised a Fine Gael government would fund a joined-up approach to drug and alcohol abuse and ensure that addicts would leave prison drug-free. He called for drug testing in schools, provision of 200 beds for detoxing drug addicts and improvement of youth facilities to combat the demand side of the drugs industry. On health, spokesperson Liam Twomey promised more beds in cleaner hospitals, while former TD Frances Fitzgerald said it was time what she called an 'arrogant and imcompetent' Government was run out of office. David Stanton said that Fine Gael in government would extend maternity leave and introduce a statutory entitlement to one week's paid paternity leave. He also pledged to introduce an early education supplement of €2,500 per child, establish quality control for childcare and abolish rates for créches. The Ard-Fheis passed a motion supporting a bid for Ireland to host the Rugby World Cup in 2015. Former minister and Dún Laoghaire election candidate Seán Barrett said that with redevelopments at Thomond Park, Lansdowne Road, the Maze site in the North and the newly opened Croke Park, it was a feasible proposal. Senior party figures have accused Fianna Fáil of attempting to buy votes with a series of election promises. 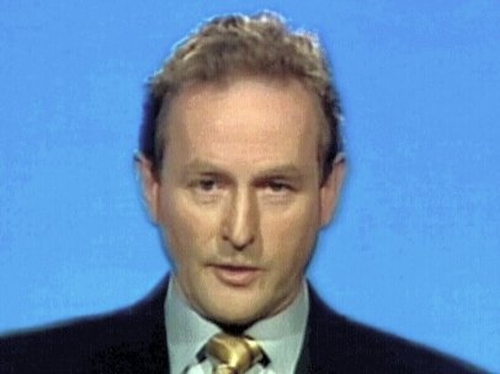 They hit out at the election promises outlined by the Taoiseach last weekend. Enterprise spokesperson Phil Hogan said the government panicked last weekend and tried to repeat the infamous 1977 giveaway manifesto, which he said had 'wrecked the country'. Deputy leader Richard Bruton asked how such promises could be believed, when the Government had not delivered on the promises it made in the last election. And he strongly defended Fine Gael proposals on stamp duty, which were criticised last weekend by Finance Minister Brian Cowen. Deputy Bruton said the attack was 'bankrupt', and that Fianna Fáil and the PDs had had five years to reform what he called an unjust tax but had done nothing. Stewards at the Ard-Fheis had to close the doors to the conference hall three quarters of an hour before Enda Kenny's speech because of the numbers trying to attend. Mr Kenny said there was a huge turnout for the event, which he suggested reflected people's desire for change. Mr Kenny has said the coming general election would be the most competitive in 25 years. This is the last in the series of pre-election party conferences, and gives Mr Kenny a key opportunity to make his pitch direct to the voters, who will decide in two months' time whether he is to be given the chance to serve as Taoiseach.